Abu Dhabi, May 16th 2017- The Abu Dhabi Education Council (ADEC) recently concluded its extracurricular activities for the academic year 2016-2017, following the completion of a series of contests and competitions under its ‘Champions of Tomorrow’ and ‘Creative Program’ campaigns. The initiative falls in line with the Council’s continuous effort and commitment to encourage students to participate in various scientific, cultural, artistic and sport activities with the aim to adopt and develop new talents as well as build their competitiveness and excellence. 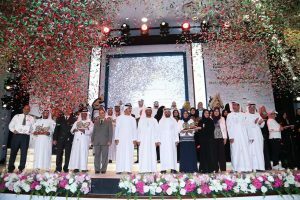 The ceremony was held in the presence of many senior officials and was attended by winning students, participants and their parents. During the event, the participating students were commended for showcasing their cultural and artistic talents and excelling in sports. Gold, silver, and bronze medals along with other prizes were given for the first, second and third places, respectively. 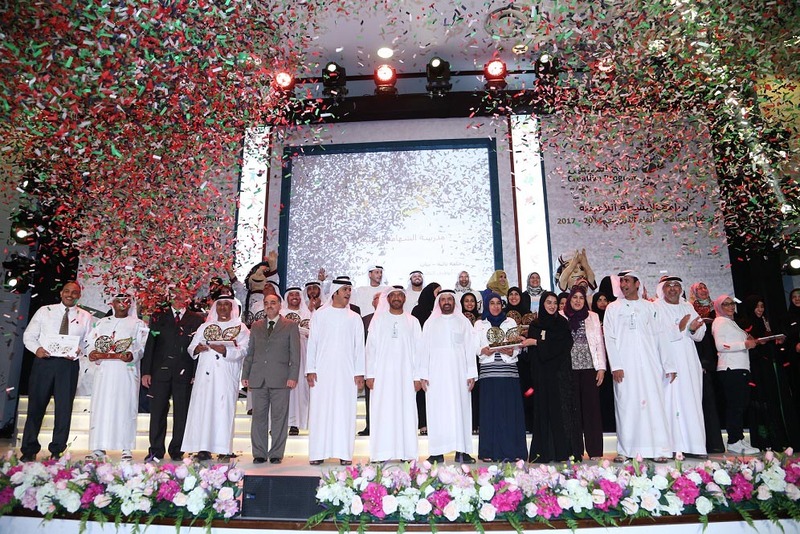 The ‘Champions of Tomorrow’ initiative attracted the participation of 75 per cent of ADEC students, giving a tremendous boost to the local education system and developing talents according to the highest international standards and practices. The contests established a spirit of competitiveness and excellence among students in various fields, including science, sports, art and culture. On the other hand, the ‘Creative Program’ is an ideal platform to discover the promising talents that can compete in international events. The program has registered 2593 participants from the school year 2016-2017, with an increase of 1503 students compared to last year; 20 per cent of which are from scientific programs, while the art and music programs attracted 30 per cent of students. H.E. Mohammed Salem Al Dhaheri, Executive Director of School Operations, ADEC, expressed his delight in the increased participation of students in the ‘Champions of Tomorrow’ and ‘Creative Program’ initiative. He stated that it reflects a great momentum and a high capability to achieve leadership and excellence at the intellectual, scientific, cultural and athletic level. He also mentioned the remarkable success of this current edition of extracurricular activities in emphasizing social and national participation, enhancing the culture of innovation and excellence for the upcoming generation, and boosting the creative abilities in various sectors that will raise the UAE’s name across the world. Mr. Al Dhahiri added: “The ‘Creative Program’ is an important milestone in the process of promoting leadership among students while improving their scientific and creative thinking. This is in line with ADEC’s strategic vision to develop the local education system and strengthen student competencies, while benefiting the local and international community. The selection of the winning schools was conducted for each educational seminar separately, based on the total score in accordance with the criteria set by the jury. 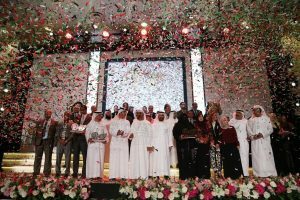 The total number of selected schools were 18 each in Abu Dhabi, the Al Ain Region and the Al Dafrah Region. May 02, 2017 – DuPont Middle East recently held a seminar on workplace safety for students of Petroleum Institute at the Sas Al Nakhl area. The initiative has been designed to raise awareness among students who will soon be pursuing a career in key industries such as oil, gas, mechanical, chemical and petrochemical, where safety risks are higher than in other sectors. The Petroleum Institute is part of the newly-established Khalifa University of Science and Technology. As part of the company’s community outreach program, DuPont aims to educate future engineers on the importance of safety regulations to ensure the wellbeing of the workforce while also reducing hazards and risks at the workplace. DuPont has expressed its commitment in raising awareness among university students on established safety procedures and the proper use of specialized protective gears or Personal Protective Equipment (PPE). Karim Dirani, Marketing Communications Specialist at DuPont Protection Solutions, discussed common issues in workplace safety and explained the importance of always wearing the right PPEs. The team also conducted a demonstration of Thermo-Man®, the world’s most advanced life-sized thermal burn injury evaluation system. Since the 1970s, the state-of-the-art device has been used worldwide to test the flame resistance of work clothing materials produced by companies across various industries, including oil and gas, petrochemicals, chemicals, electricity, and fire-fighting services.